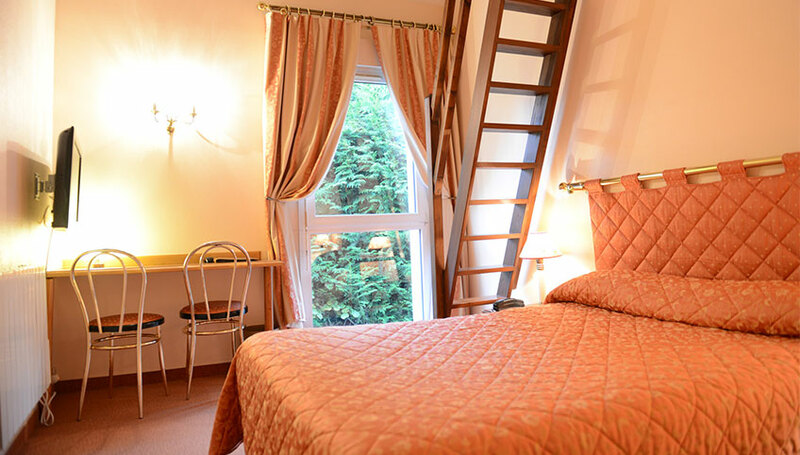 Duplex room for 3 persons : 1 double bed on the ground floor and 1 single bed on the mezzanine. Desktop corner and bathroom. Room for 1 or 2 guests, with desktop area and bathroom. 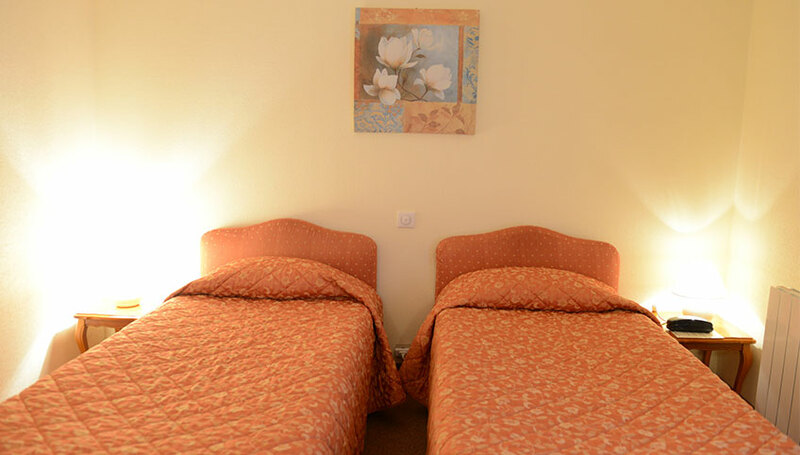 Room for 2 persons with 2 simple beds, desktop, and bathroom.